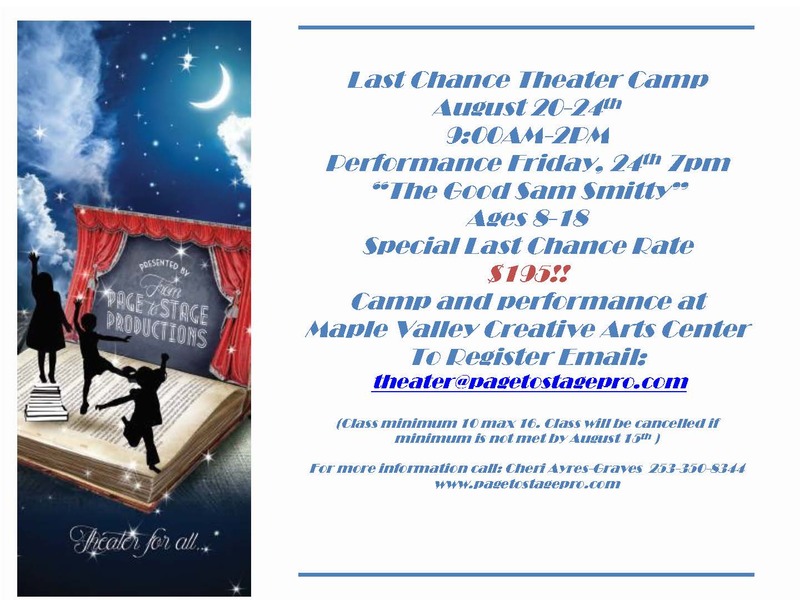 The Theatre Camp is held daily from 9am-2pm Monday-Thursday. Friday's dress rehearsal will be held from 4pm-6pm. The Final Performance Showcase will be held at 7pm, open to the public.